The White House are proud to announce the opening of their newest teeth whitening Manchester Clinic in Trafford Park where The White House, are delighted to bring their 10 years established service to brighten the smiles of Manchester. The White House Teeth Whitening was established in 2008 and have clinics across UK and Ireland. Come and visit our friendly Dental professionals in our top rated Teeth Whitening Clinic in Manchester, we are prominently situated within the Village area of Trafford Park, just off Village Way (A5081) and approximately ½ mile west of Manchester United’s Old Trafford Football Stadium. We are located at 400B Third street, Trafford Park, Manchester. We have free parking at the back of third Street, which is accessed via fourth Avenue next to the Nursery. The White House have been accredited with the “Top Teeth Whitening System” for the last 5 years in a row by the Dental Advisor and featured in numerious press and TV. 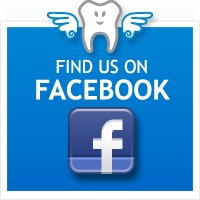 We have completed over 100,000 teeth whitening treatments in the UK and Ireland since 2008. We have also had over1,000 independent reviews and 92% of these customers would highly recommend us to their friends. The White House Teeth whitening employes fully qualified dental professionals and Paula is our dentist that will be looking after you in Manchester. Paula is a fully qualified and GDC registered dentist has been working with The White House for a number of years and has recently relocated to Manchester to continue working with The White House there. The White House uses the most advanced cold laser light technology available worldwide, the Beyond Power Advanced Whitening System. The quick treatment is ultra-safe and effective and is 100% guaranteed no pain due to no hydrogen peroxide being used in the whitening gels. The laser is cold and filters out any heat or UV rays. The whitening process takes about 1 hour, and, depending on the client’s diet and whether or not they smoke, will last between 9 and 18 months. Treatment generally costs £215, although discounts are offered for online booking and for groups, including wedding packages. We are running a special offer of only £145 (saving you £126 off the normal price) Please click the book appointment button below to avail of this exclusive limited time special offer. *£49 booking deposit required. We have free parking behind Third Avenue accessed off Fourth Avenue, here is a map link to the car park, once your parked up, just walk towards the Village Nursery and we are between that and above the Village Chippy. We look forward to seeing you, if you have any questions please don’t hesitate to contact us on 0161 872 6733.